Get an LCP Testing Quote Now! What is Lamp Circuit Power (LCP)? The lamp Circuit Power (LCP) is the total true power (not the apparent power) of the lamp and the control gear for each light fitting. So different combinations of LED light loads and electronic drivers may affect the lamp circuit power (LCP) results. The lamp Circuit Power (LCP) is measured with the LED lighting product powered via 230VAC, 50Hz and measured in accordance IEC 61000-3-2. EMC Bayswater is experienced with performing LCP testing and can issue NATA endorsed AC mains power measurements. We can perform the testing and reporting in an efficient cost-effective manner with superb turnaround times. Get your LCP testing quote today! What is the difference between apparent power and true power? In a purely resistive circuit similar to an incandescent light where the inductive contribution is minimal, the phase shift between the voltage (angle) is zero and true power is given by VI. The power drawn from the mains is the apparent power, and this is a combination of both the true power and the reactive power. The true power is due to the resistive components while the reactive power is a result of the inductive and capacitive components. The majority of modern electrical and electronic equipment including LED light drivers use combinations of resistive and reactive components. When measuring the LED light and LED driver at the mains input to the product these are combined to provide an overall reactive and true power for the combination or circuit (Thevenin’s Theorem for more information: https://en.wikipedia.org/wiki/Th%C3%A9venin%27s_theorem). The relationship between the true power and the apparent power is an indication of the efficiency of the power system. For an optimum system, the values of the true power and the apparent power are very similar. What is the True power measurement used for? Energy saving is important to all of us to reduce our electricity bills and to reduce our carbon footprint by reducing the need for electricity production and thus helping the environment. As such Australia state governments are addressing the issue and have identified the energy efficiency of lighting products and require Lamp Circuit Power (LCP) testing to be performed. Once the True power has been correctly measured using a calibrated AC source and mains power analyser, this value in of power Watts can be included along with the product for retail information. Combine this with the light intensity (lumen output) measurements from a light testing laboratory the amount of light produced by a set power can be determined. This value indicates how well a lighting product illuminates with respect to the energy requried. How much does LCP testing cost? Costs are relatively low for this testing and can be further reduced if multiple LED and driver combinations are submitted at the same time for testing. A production quality sample of the LED light and the electronic driver. 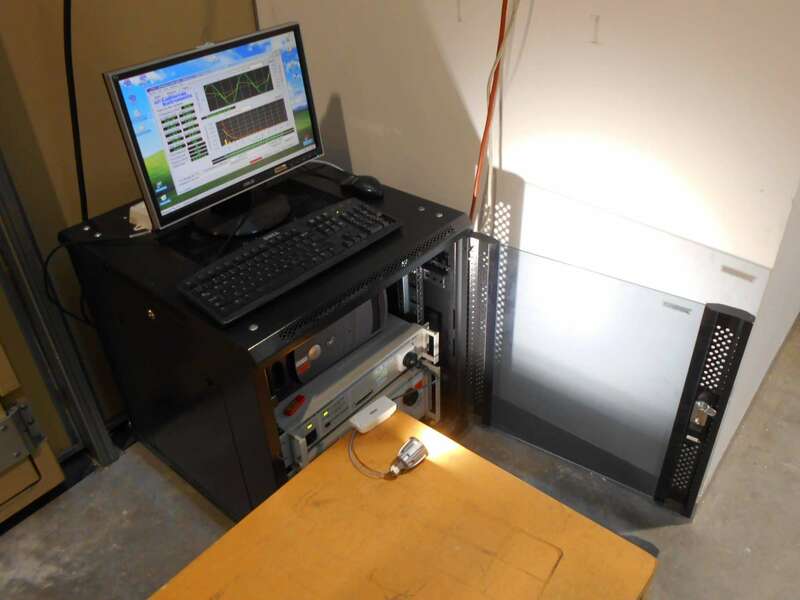 Why use EMC Bayswater for your Lamp Circuit Power measurments? EMC Bayswater can offer a NATA accredited Lamp Circuit Power (LCP) testing service. This test is required as part of the Victorian Energy Efficiency Target (VEET) scheme in Victoria (VIC) or the Energy Savings Scheme (ESS / IPART) in New South Wales (NSW) for lighting equipment. We provide NATA accredited test reports using the methods of IEC 61000-3-2 which can then be used as evidence for the VEET scheme. Our accreditation for IEC 61000-3-2 can be found on our scope of accreditation under the accredited Electromagnetic compatibility (EMC) – Emissions Testing section and this can be used for the documentation component showing the laboratory is accredited to perform testing in accordance with IEC 61000-3-2. Testing is performed in accordance with latest Explanatory Note for Commercial Lighting. LCP testing is not a Regulatory Compliance Mark (RCM) testing requirement but a unique testing requirement for VEET and ESS schemes.